The announcement was made via the Twitter account of Maggie Sweet, chief operating officer of trainer Todd Pletcher's stable. The 5-year-old Bernardini mare raced for Antony Beck's Gainesway Stable. Cherry Lodge retired with four wins in 10 career starts, for earnings of $322,422, highlighted by a victory in her final race, the Ladies' Turf Sprint Stakes on Jan. 26 at Gulfstream Park. 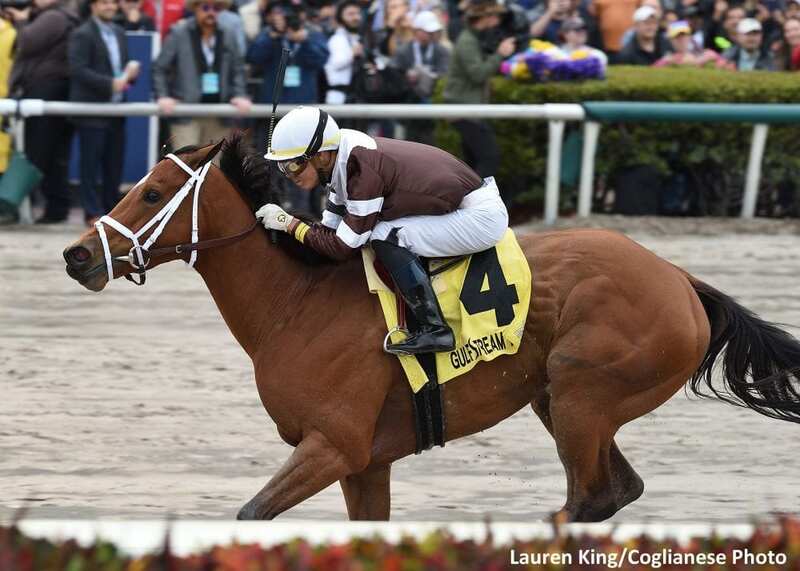 She finished third in the same race last year, adding to a black type resume that also included a second in the G3 Matron Stakes and a third in the G1 Spinaway Stakes. Bred in Kentucky by Mrs. William L. Currin, Cherry Lodge is out of the placed Carson City mare Wilshewed, a notable producer whose foals also include G1 winner Stormello, G2 winner My Best Brother, and G3 winner Gala Award. Cherry Lodge sold to Gainesway for $450,000 at the 2015 Keeneland September Yearling Sale. Quality Road stands at Lane's End in Versailles, Ky., for an advertised fee of $150,000. This entry was posted in Bloodstock and tagged cherry lodge, gainesway stable, Quality Road, retirements, todd pletcher by Paulick Report Staff. Bookmark the permalink.